Coronary artery disease (CAD) is a manifestation of systemic atherosclerotic disease. It is assessed by intervention or traditional scoring risk factors. Diagnosis is limited by inaccurate and invasive methods. Developing noninvasive methods to screen for the risk of CAD is a major challenge. We aimed to identify urinary proteins associated with CAD. We utilized iTRAQ labeling followed by 2D LC-MS/MS to compare the urinary proteome of CAD patients to healthy cohorts. The multiple reaction monitoring (MRM) was used to verify the differential proteins. ROC analysis based on MRM data was used to evaluate the diagnostic application. A total of 876 proteins were quantified, and 100 differential proteins were found. 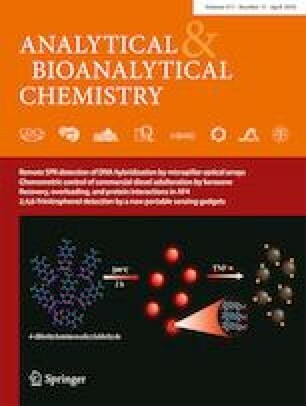 Functional analysis revealed that the differential proteins were mainly associated with Liver X Receptor/Retinoid X Receptor (LXR/RXR) pathway activation, atherosclerosis signaling, production of nitric oxide and reactive oxygen species, and the top upstream regulator of the differential proteins by IPA analysis indicated to the APOE. Nineteen differential proteins were verified by MRM analysis. ROC based on MRM data revealed that the combination of two proteins (APOD and TFF1) could diagnose CAD with 85% sensitivity and 99% specificity (AUC 0.95). The urinary proteome might reflect the pathophysiological changes in CAD and be used for the clinical study of CAD. The online version of this article ( https://doi.org/10.1007/s00216-019-01668-7) contains supplementary material, which is available to authorized users. This work was supported by National Basic Research Program of China (No. 2013CB530805, 2014CBA02005), National Key Research and Development Program of China (No. 2016 YFC 1306300,2018YFC0910202), Key Basic Research Program of the Ministry of Science and Technology of China (No. 2013FY114100), National Natural Science Foundation of China (No. 30970650, 31200614, 31400669, 81371515, 81170665, 81560121), Beijing Natural Science Foundation (No. 7173264, 7172076), Beijing cooperative construction project (No.110651103), Beijing Science Program for the Top Young (No.2015000021223TD04), Beijing Normal University (No.11100704), Peking Union Medical College Hospital (No.2016-2.27), CAMS Innovation Fund for Medical Sciences (2017-I2M-1-009), and Biologic Medicine Information Center of China, National Scientific Data Sharing Platform for Population and Health.